Washington rolls past Atlanta in a dominating 112-86 win. Washington turns in a dominant performance from start to finish as they blowout the Hawks, 112-86 on Friday night. All five Wizards starters scored at least 15 points led by Otto Porter with 21 as he went 5-7 from three-point range. The win pulls the Wizards within a half a game of the four seed. A main reason for the Wizards turnaround is because they’ve been able to get out of the gate fast. That was on display tonight as the Wizards took an 8-1 lead early forcing Atlanta to call two early timeouts. The Wizards knocked down their first four three-pointers en route to a 37-25 lead after one quarter. The bench came in and grew that lead in the second quarter. Some nice hustle plays from Kelly Oubre Jr. and Jason Smith resulted in easy buckets on the other end for Washington. Washington shot 53 percent from the field and four of the five starters scored in double figures as the Wizards led, 67-45 at halftime. The Wizards won the first five minutes of the second half and stretched the lead to 30, 91-61 at one point. The starters sat for the entire fourth quarter as the Wizards roll to an 112-86 win. Washington crushed Atlanta on the glass tonight outrebounding them 52-41. The trio of Gortat, Morris, and Porter combined for 32 rebounds led by Gortat with 12. Gortat won the battle against Dwight Howard and kept many possessions alive with his patented slap back. Markieff Morris wasn’t far behind as he snatched five offensive rebounds. The team combined for 13 offensive rebounds resulting in 12 second chance points. Otto Porter, the best three-point shooter in the NBA, did nothing to hurt his stats tonight as he was 5-7 from three-point range. Porter connected on three of his first four and early on to build up the Wizards’ lead. Otto stayed hot to start the second half as Wall zipped a pass to him only to knock down a wide-open three in the corner. It didn’t burn the Wizards tonight but their turnover issue still remains a head scratcher. Washington coughed the ball up 20 times with many coming on lackadaisical passes or passes that just weren’t there. The game was out of hand early so it didn’t come back to haunt them. However, 20 turnovers in a game isn’t going to cut it on most nights. 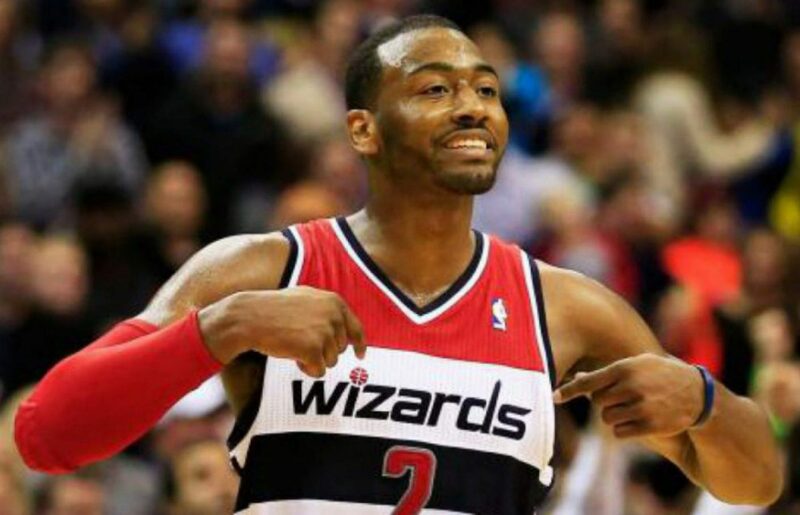 Next postWizards vs. Pelicans final score: Wall notches 19 assists as Wizards win, 107-94.